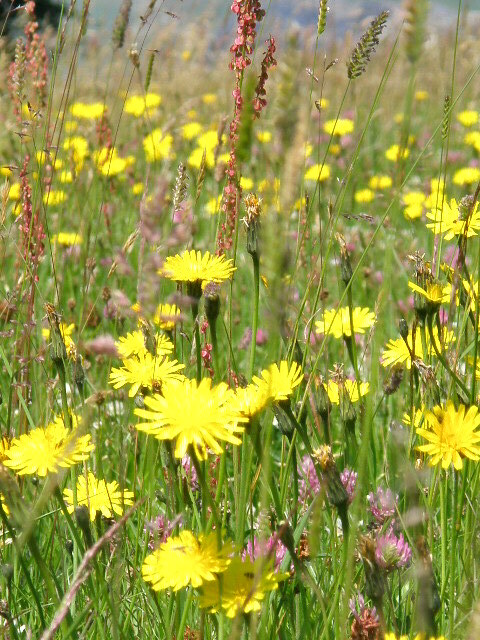 Wild Flowers at Lower Winskill. 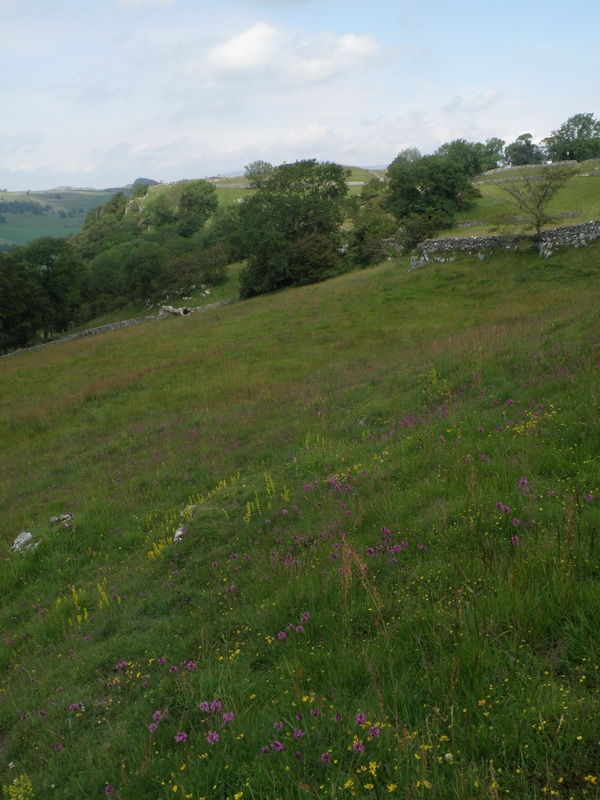 The soils at Lower Winskill are very variable and give rise to a wide range of plant communities. 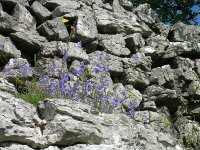 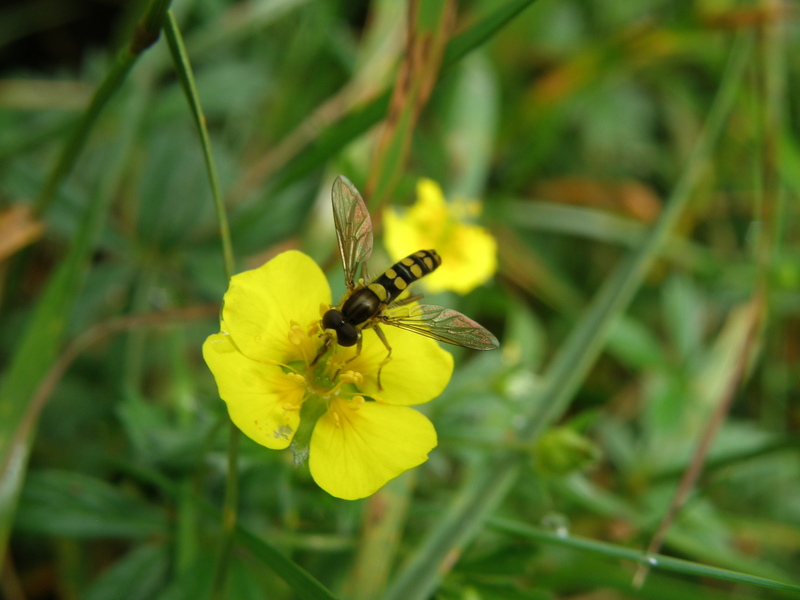 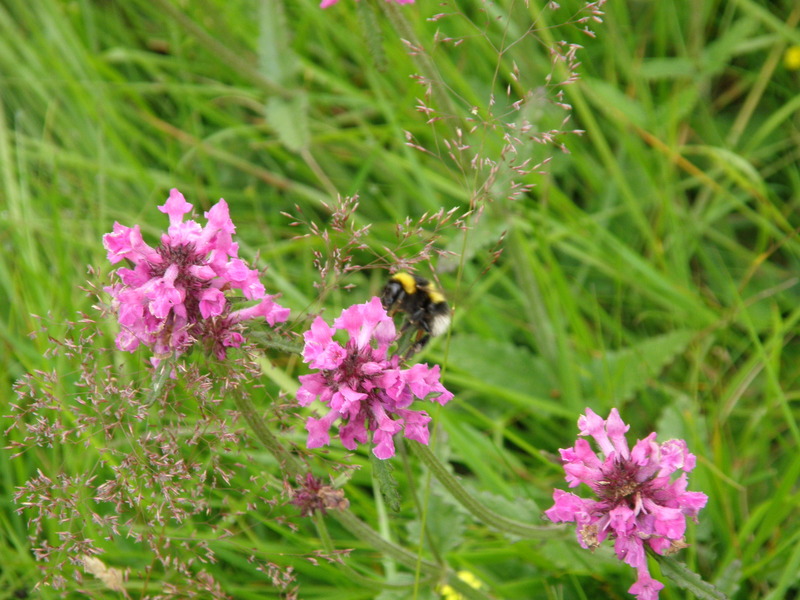 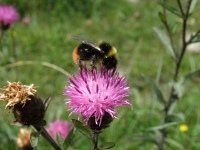 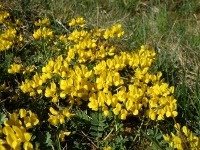 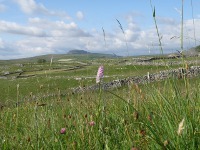 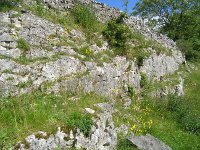 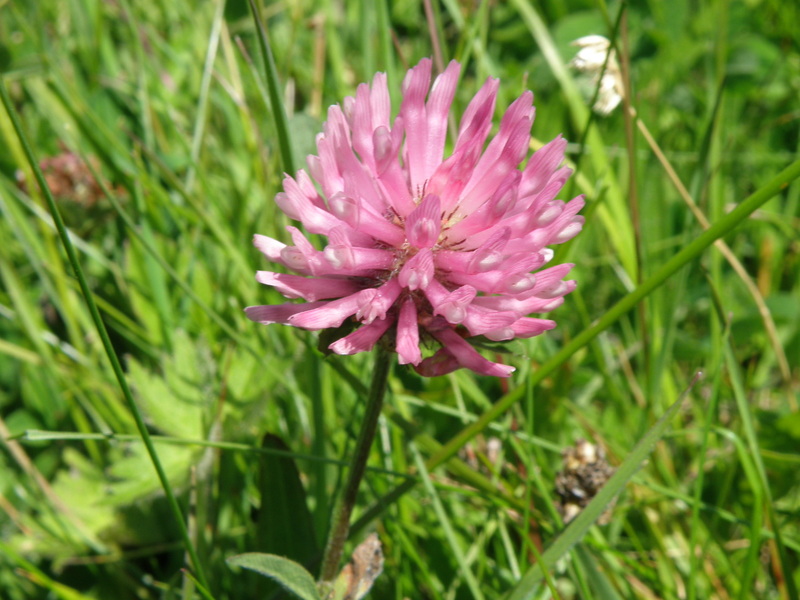 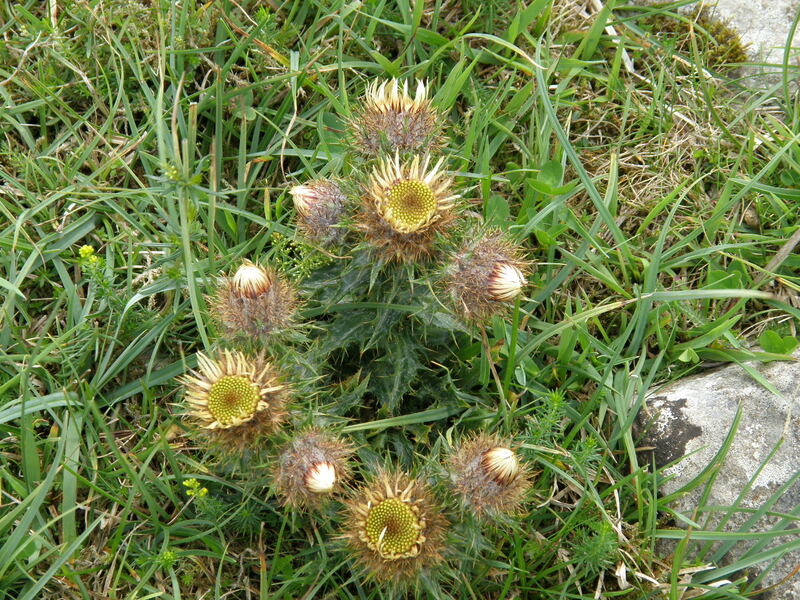 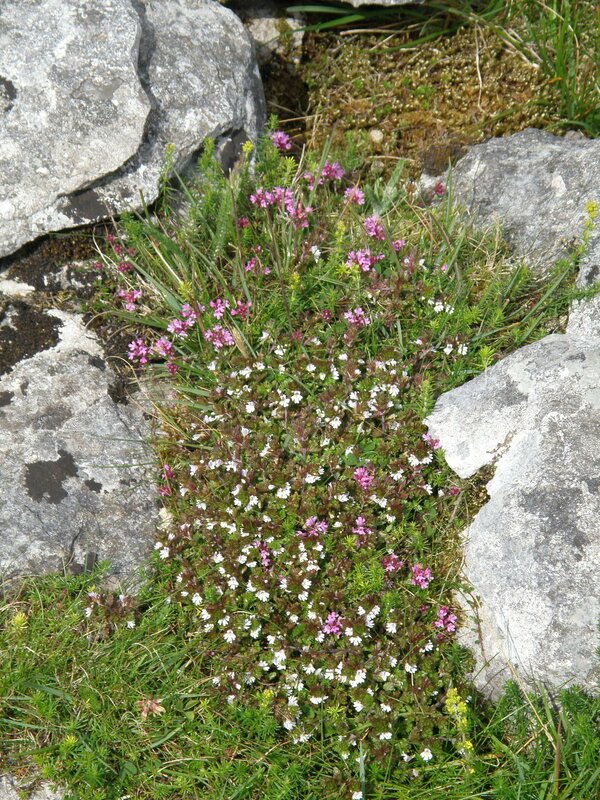 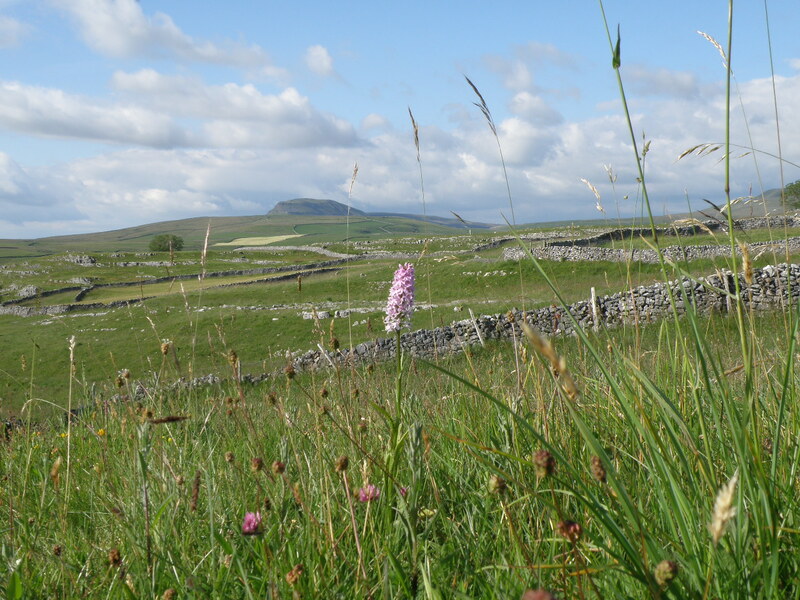 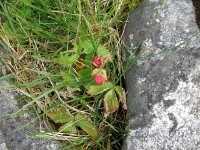 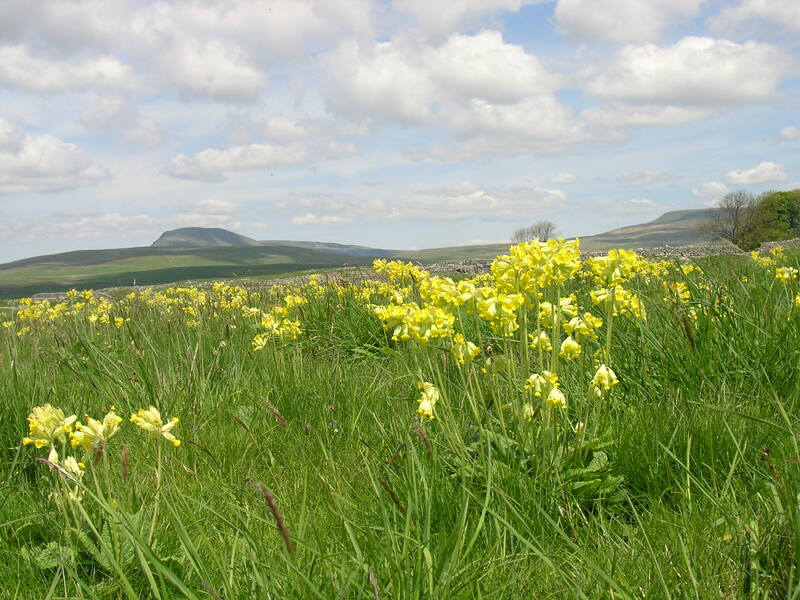 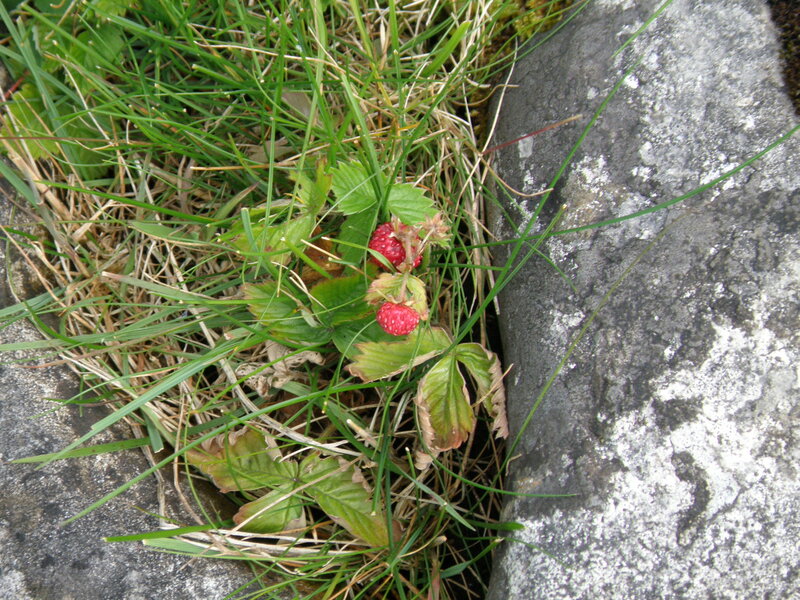 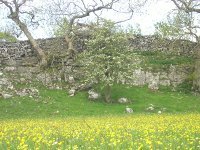 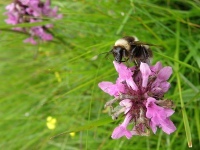 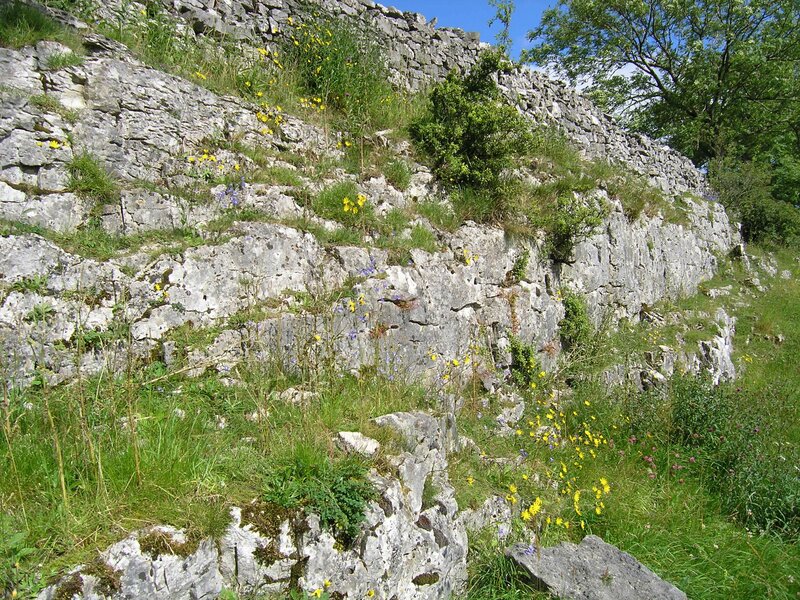 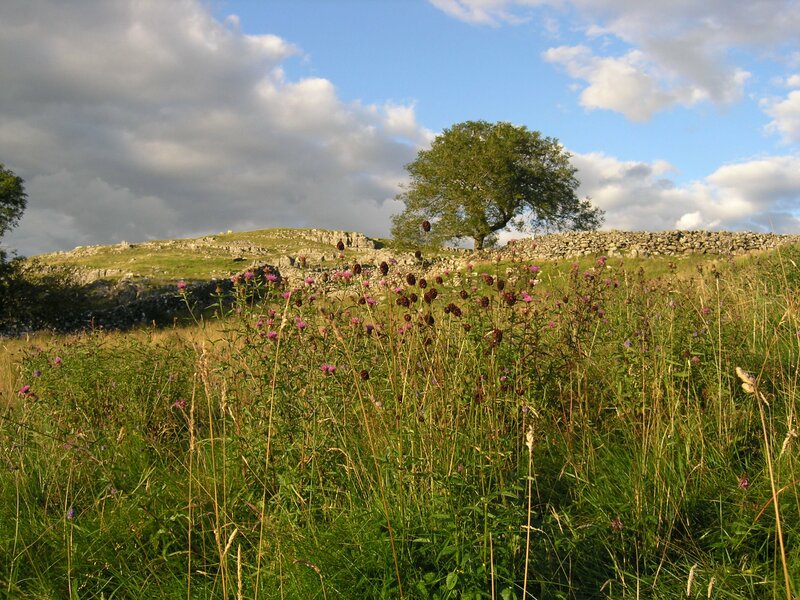 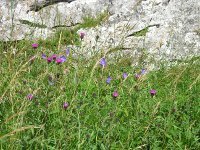 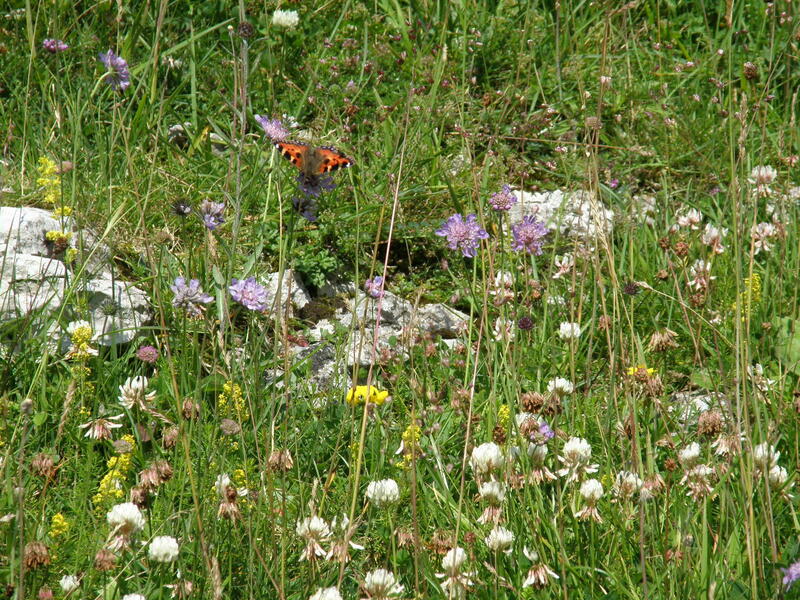 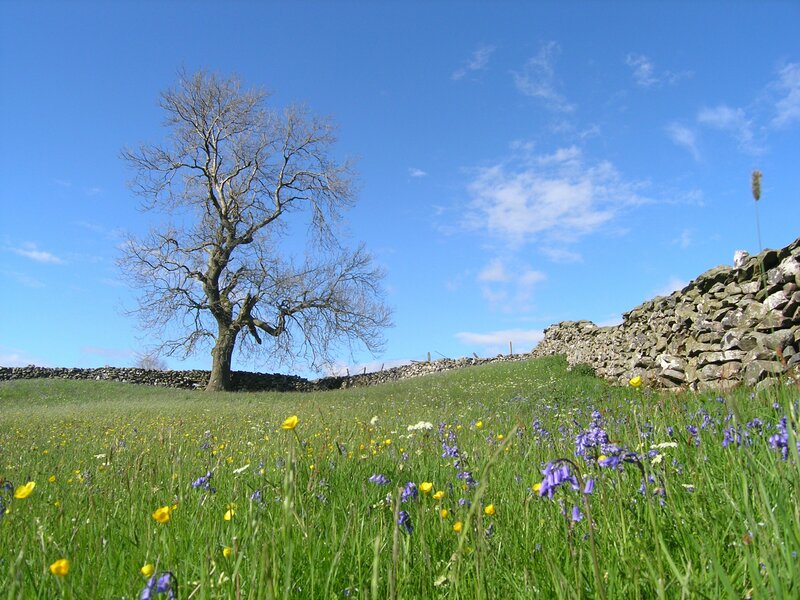 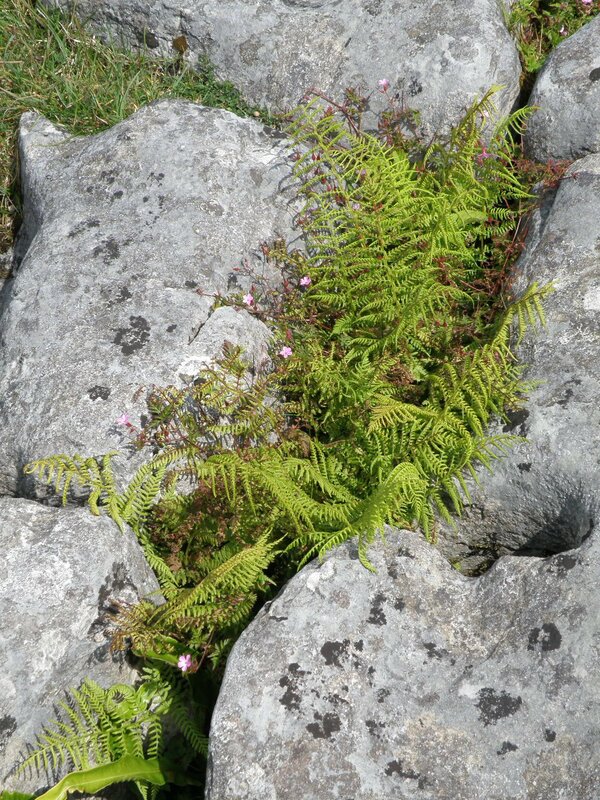 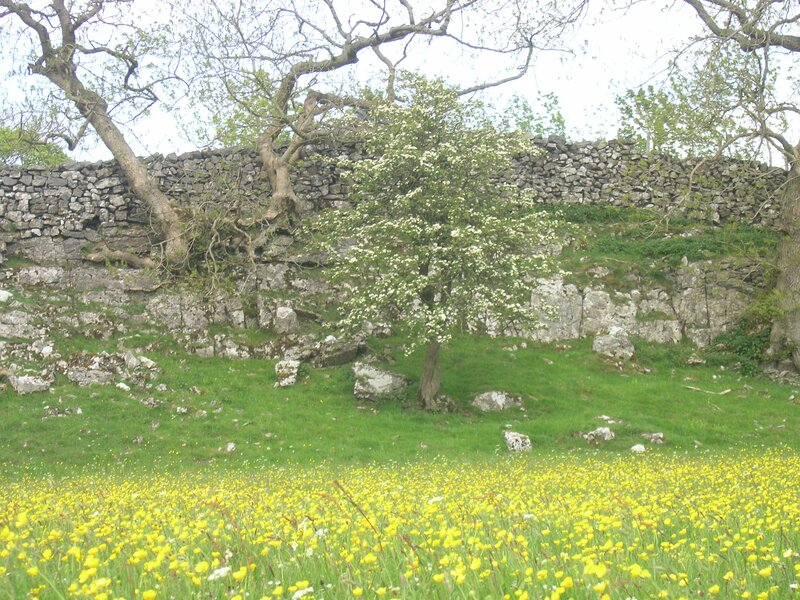 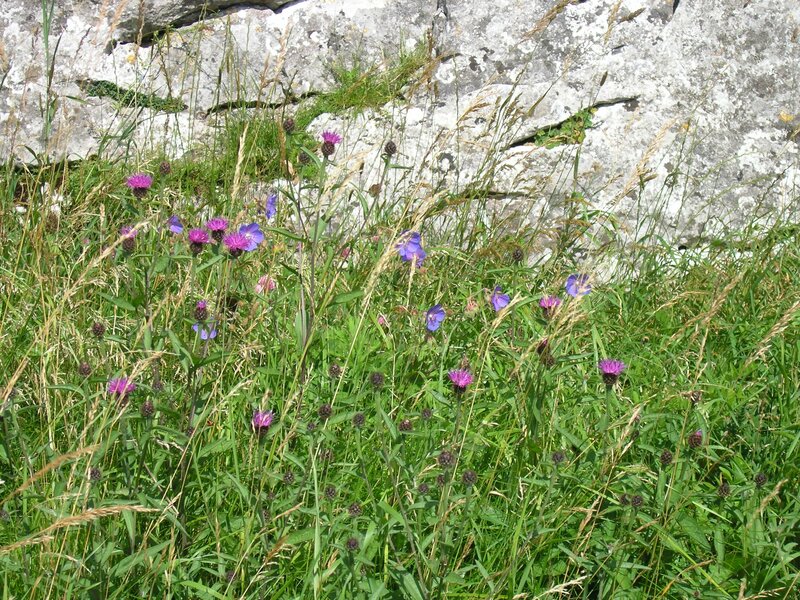 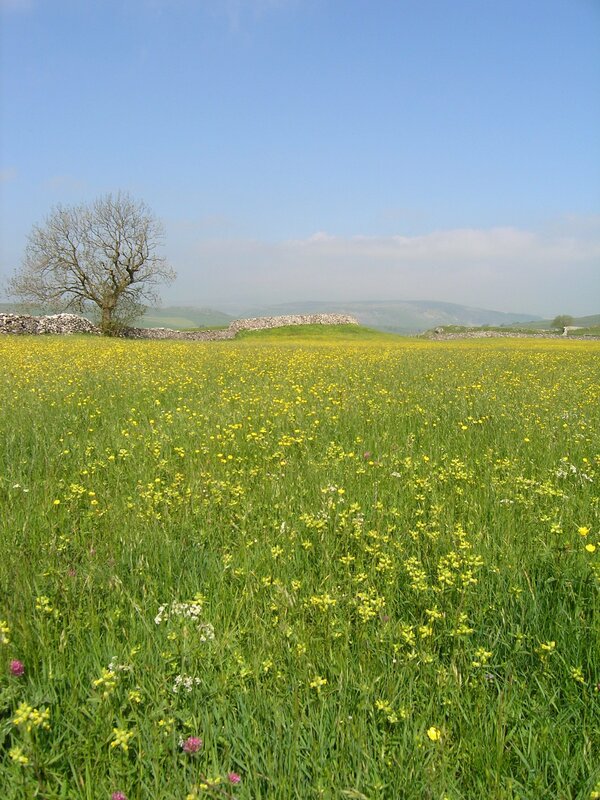 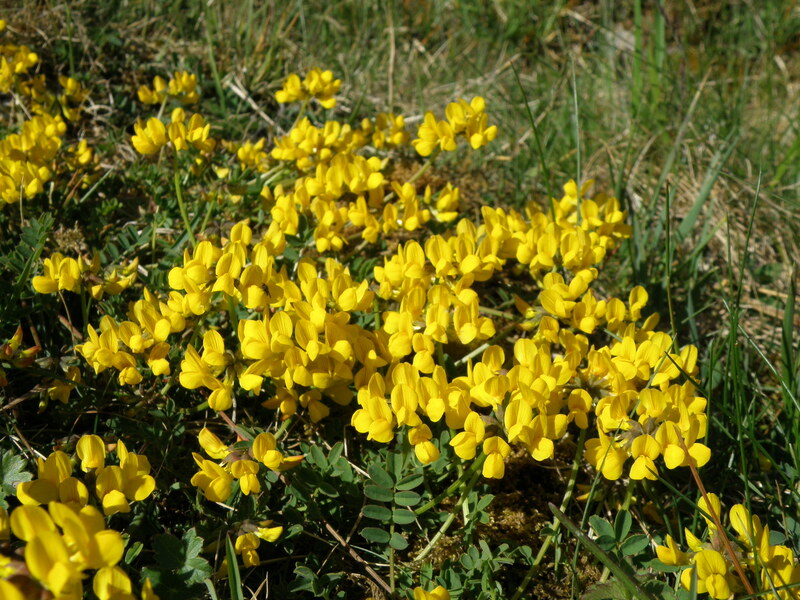 Wild flowers are abundant in the pastures and hay meadows, and amongst the limestone pavements and cliffs. 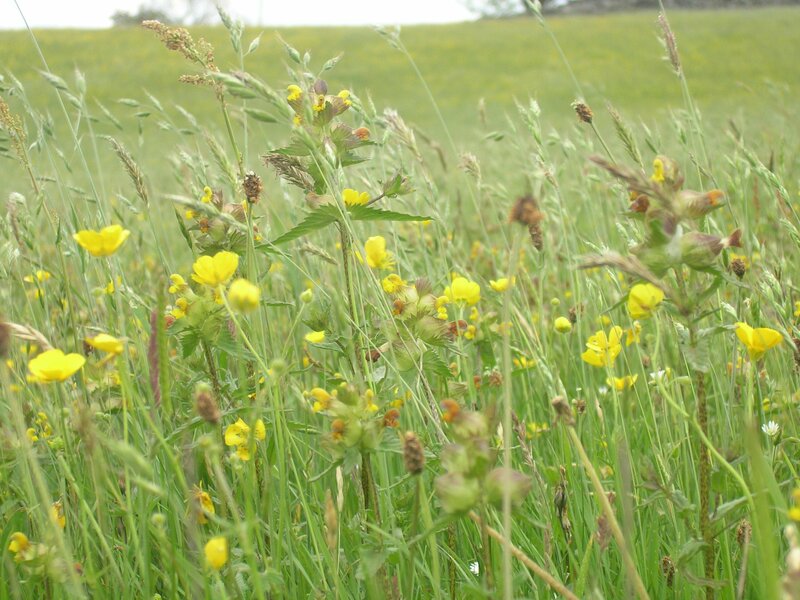 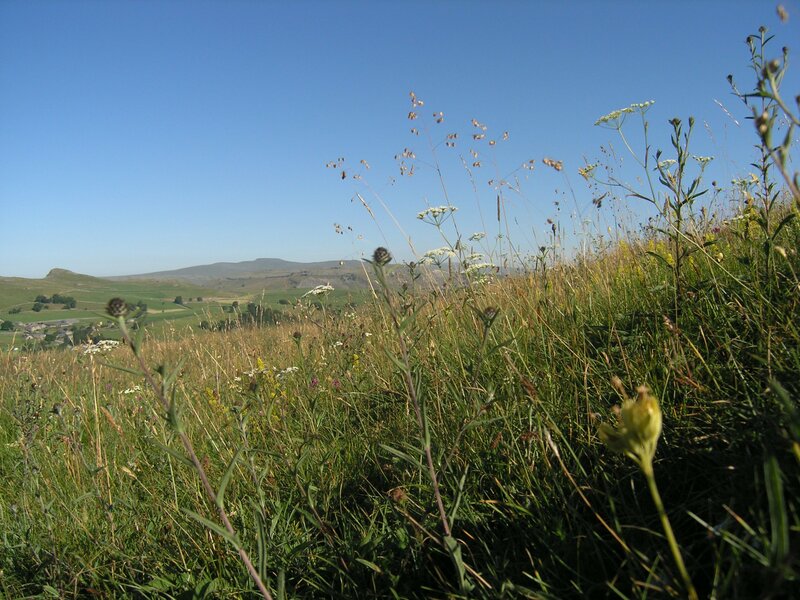 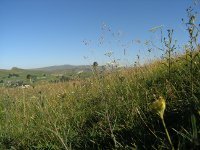 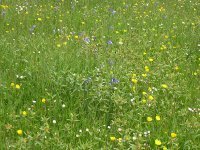 By carefully controlling when the pastures are grazed many different wildflowers are able to flower and set seed from the spring through to the early autumn. 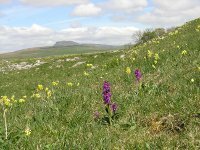 The limestone pastures at Lower Winskill are home to a number of different orchids including the delightfully scented Fragrant Orchid. 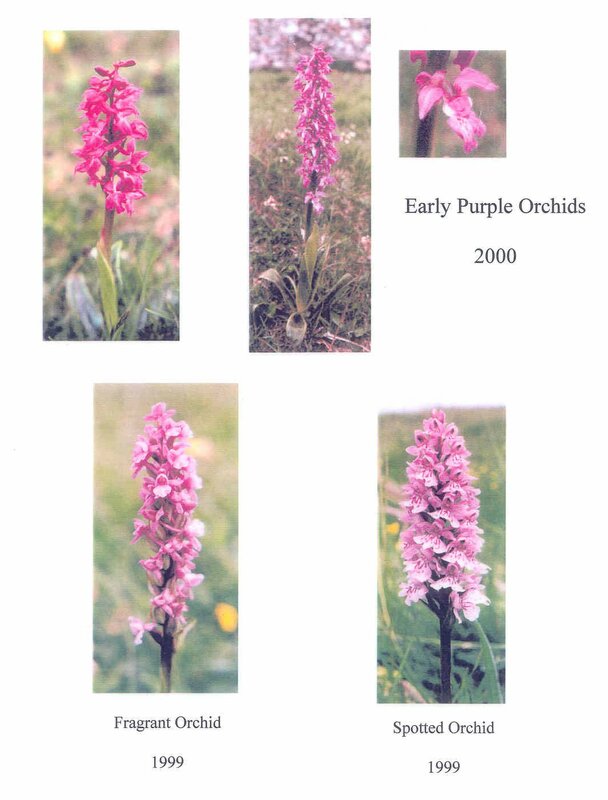 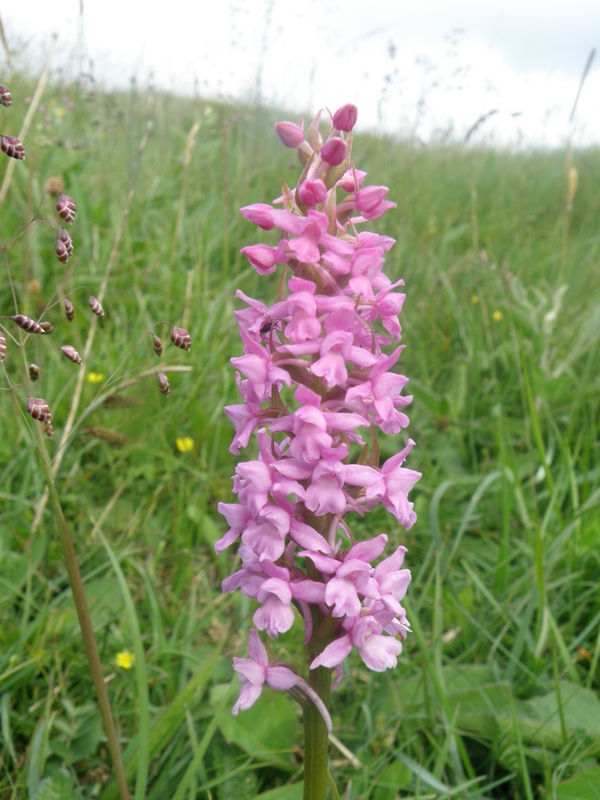 All the orchid species are becoming more abundant as a result of the management as part of the Higher Level Stewardship Scheme. 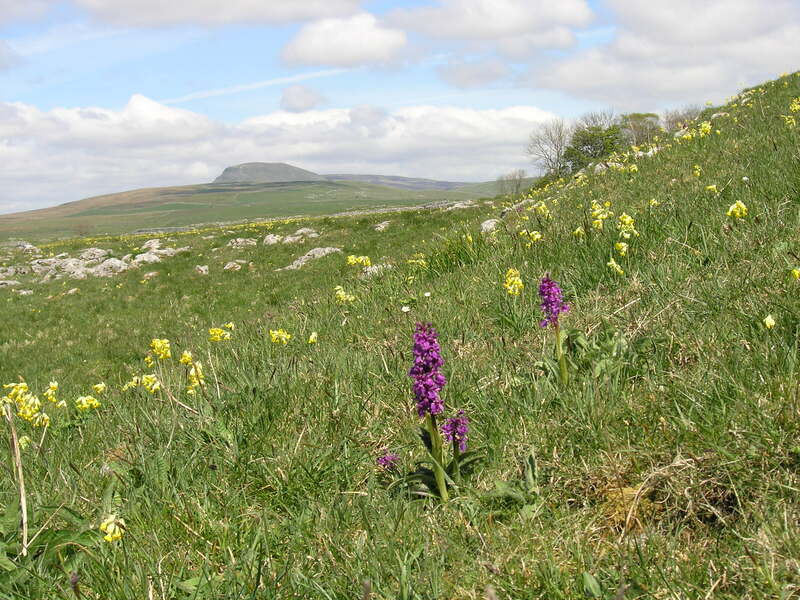 The Early Purple Orchid is one of the first flowers to appear in the spring alongside the Cowslips in the limestone pastures. 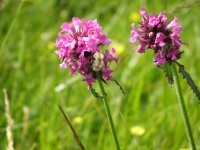 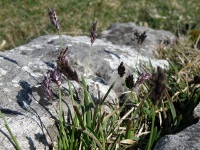 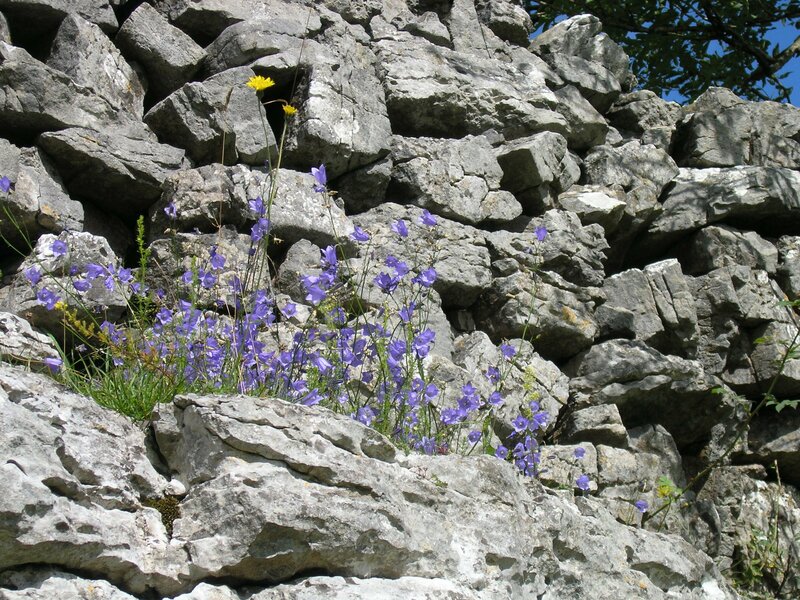 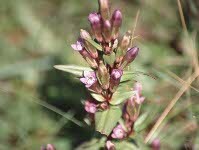 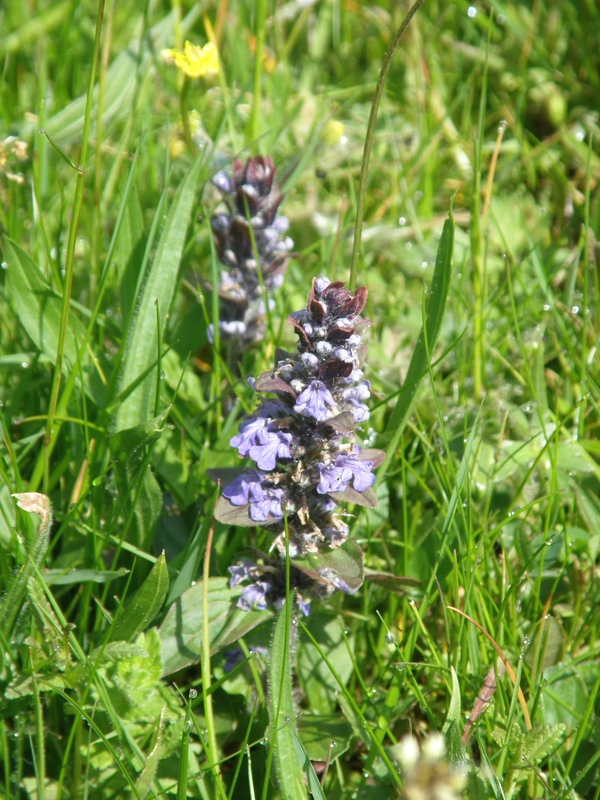 With its vivid purple colour it gives an exotic quality to the high limestone pastures nearly 1000 feet above sea level. 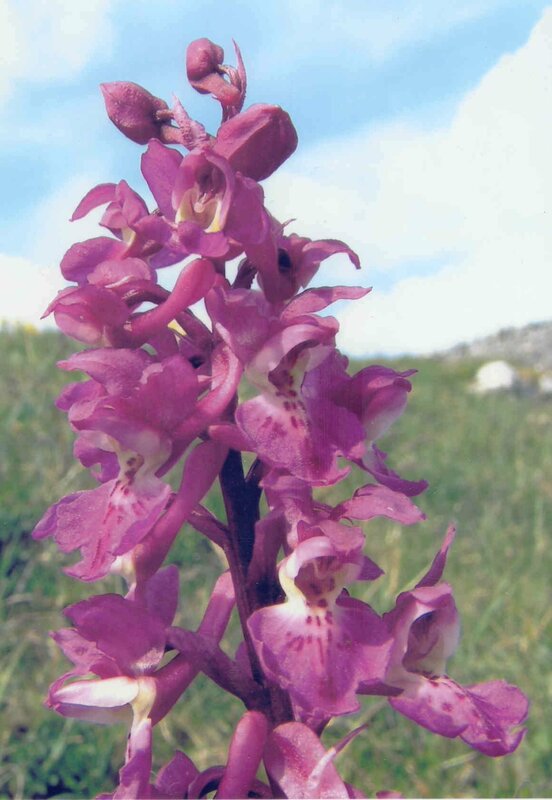 The purple colour is quite variable and occasionally a white flower spike is produced. 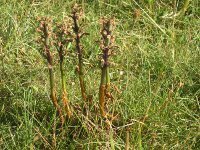 The leaves are generally marked with dark spots and lie close to the ground making them difficult to see before the flower spike grows. 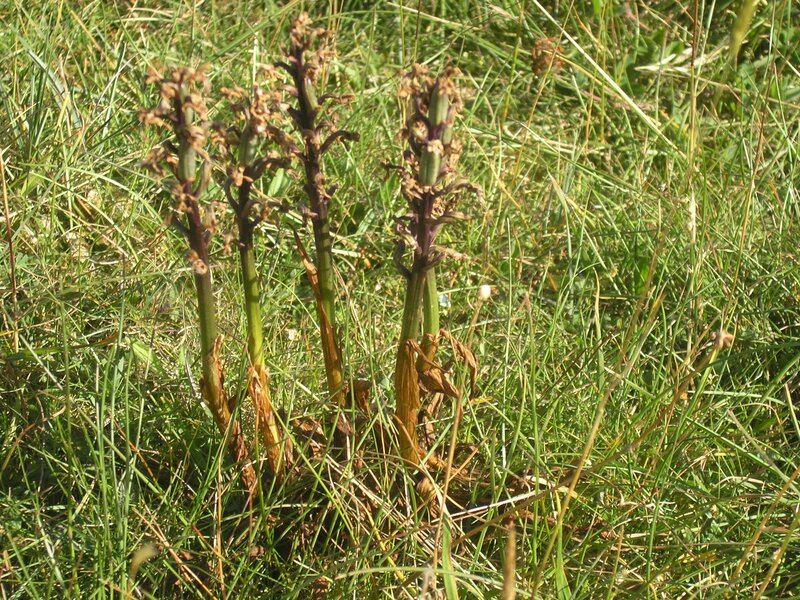 The camouflage might be a defence against grazing animals, but the flower spike is sometimes nibbled off and toppled over at the base possibly by slugs. 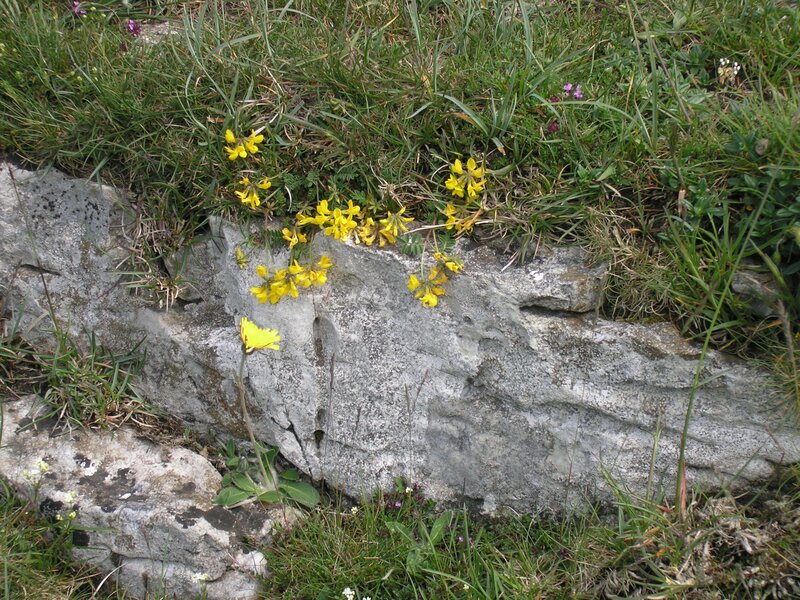 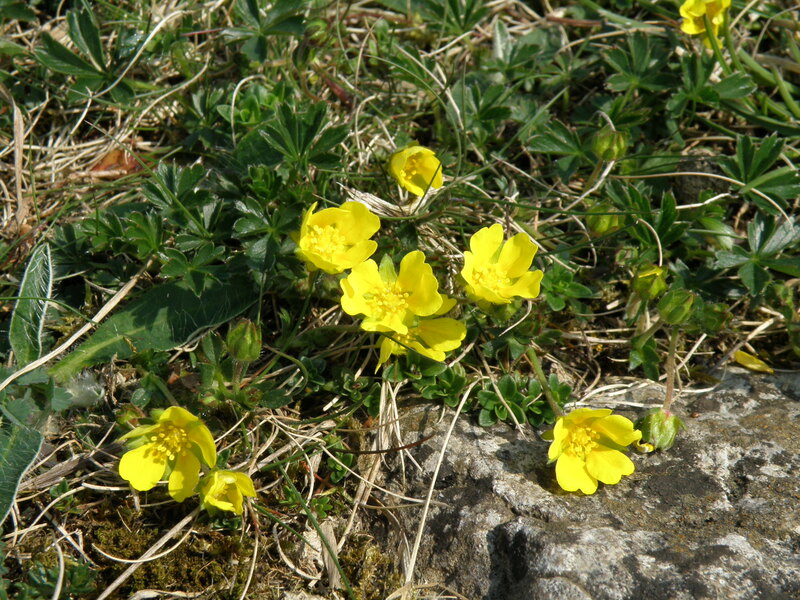 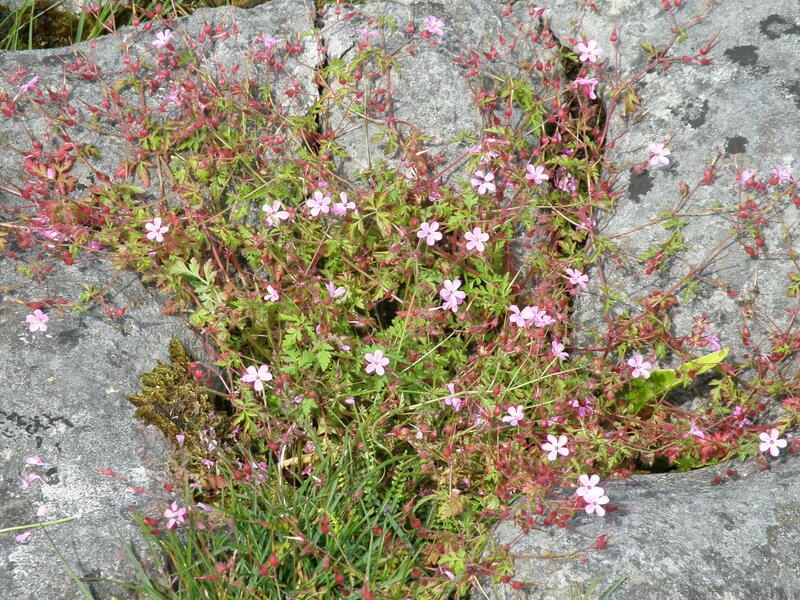 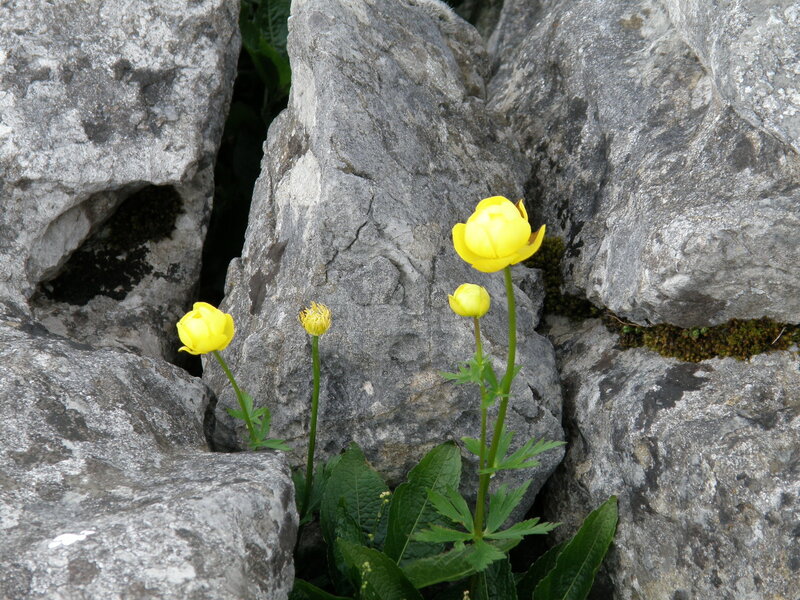 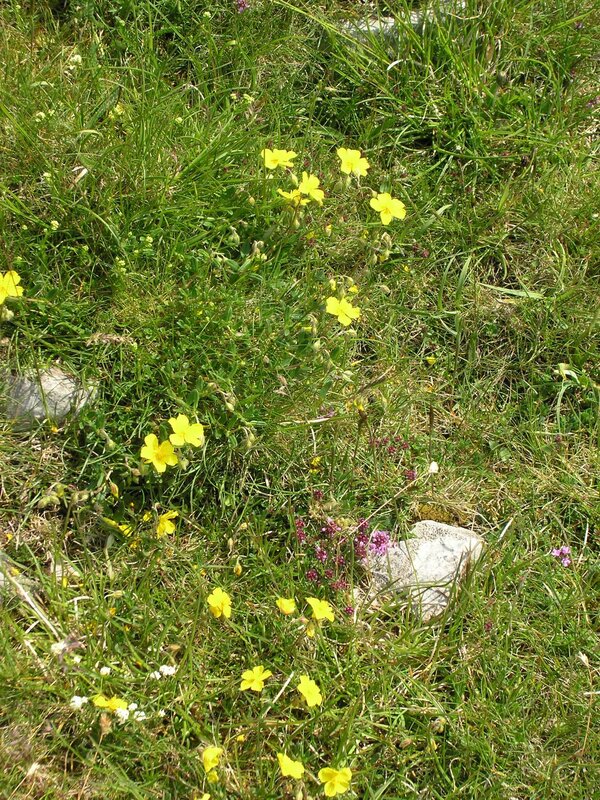 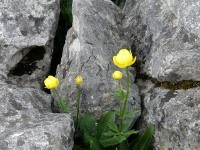 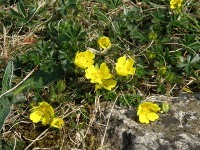 Rock Rose is one of the characteristic wild flowers of limestone pasture. 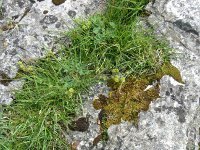 It is also the sole food for the caterpillars of the rare Northern Brown Argus butterfly which are now increasing at Lower Winskill. 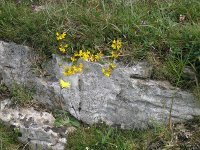 The increase in numbers of Northern Brown Argus butterfly at Lower Winskill is directly related to the greater abundance of Rock Rose. 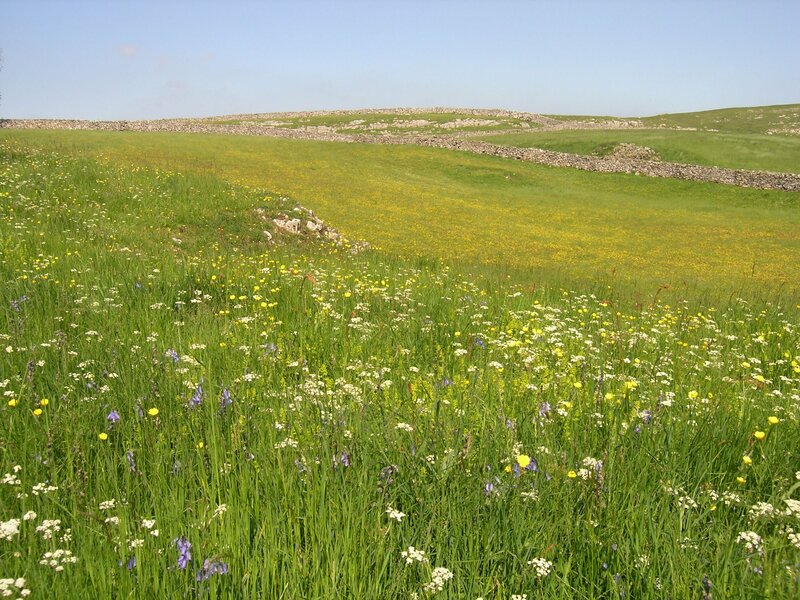 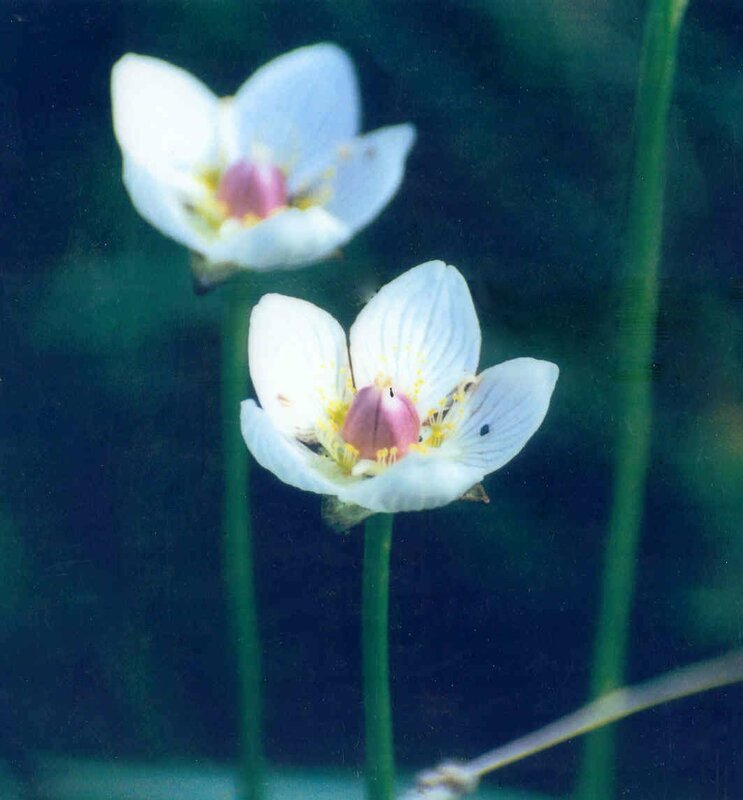 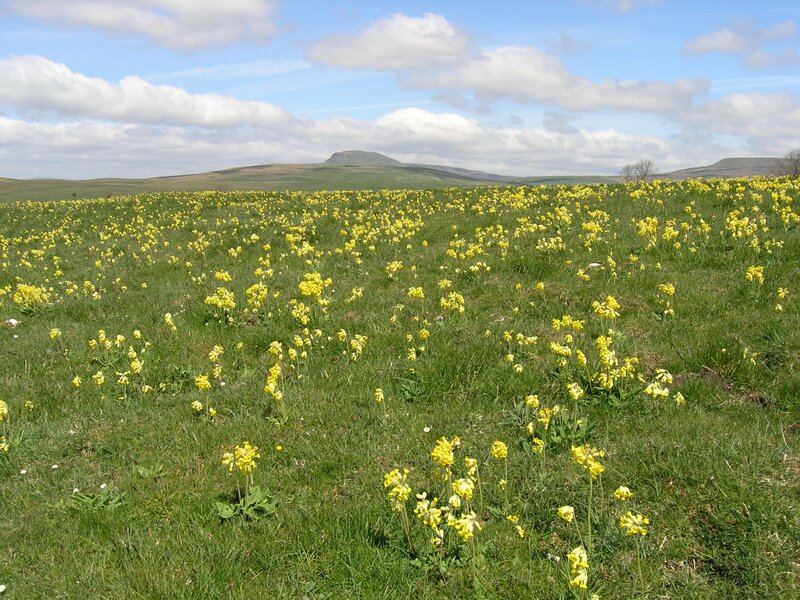 Other rare plants in the limestone pastures include the nationally rare Ladies Mantle (Alchemilla glaucescens), Spring Cinquefoil and Grass of Parnassus. 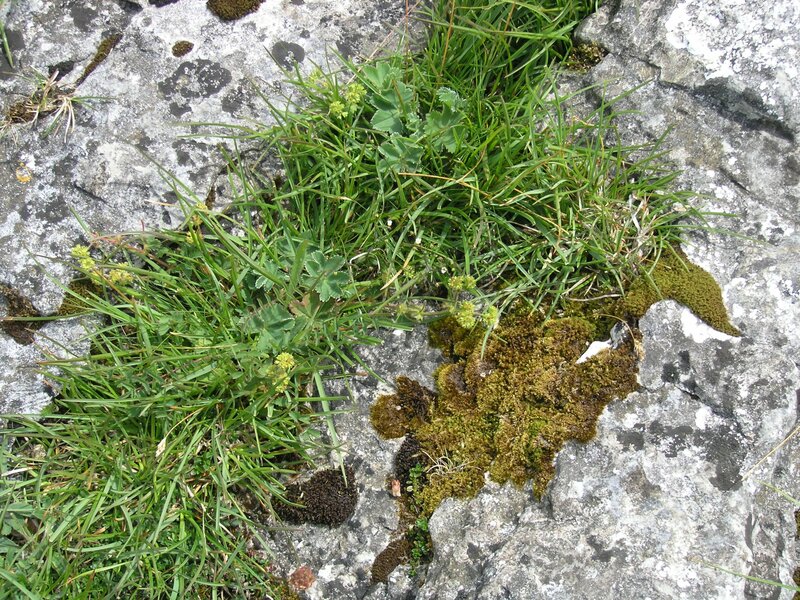 The latter is typically a plant of damp areas flushed with lime-rich groundwater. 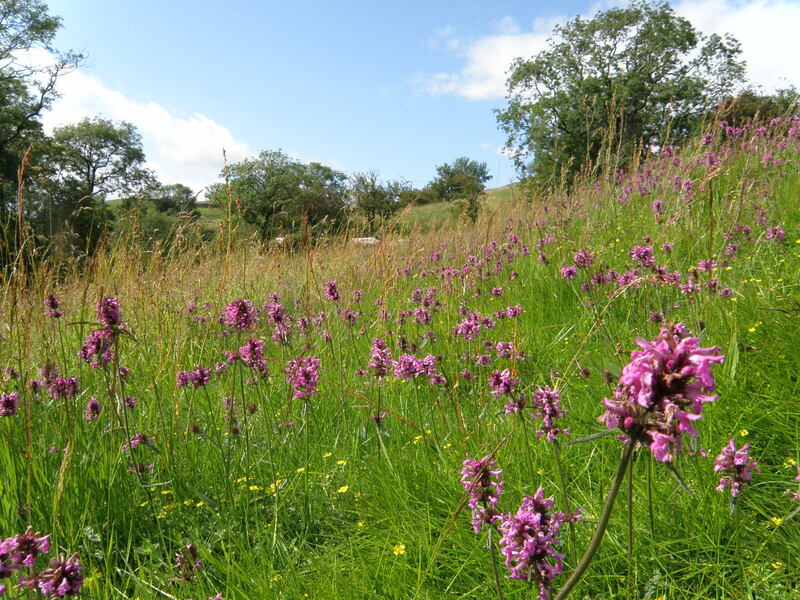 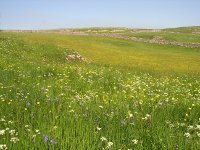 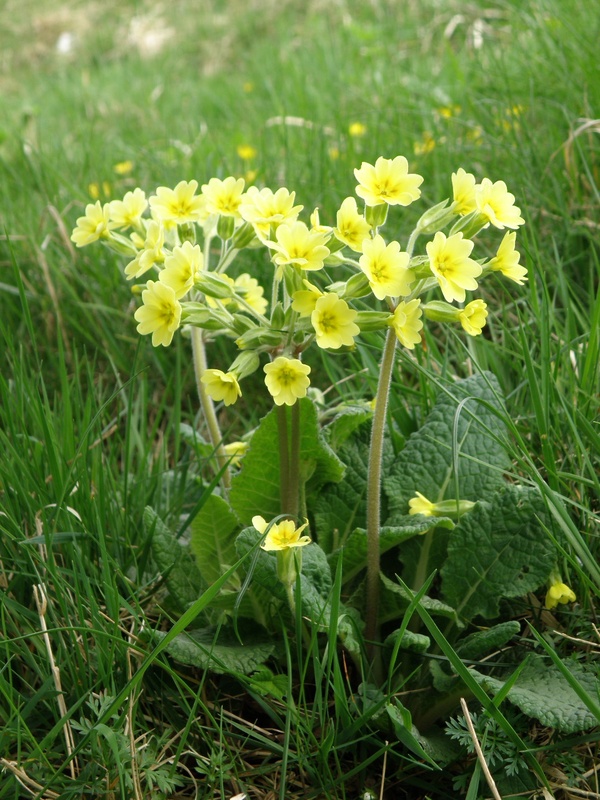 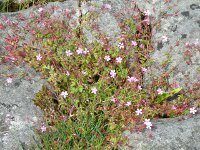 However it grows in fairly dry locations in the limestone pastures at Lower Winskill, suggesting that with the right management this beautiful wildflower can expand beyond its more familiar range. 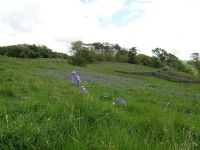 As well as the many characteristic wildflowers of limestone grassland the beautiful early flowering Blue Moor Grass (Sesleria caerulea) is common in the limestone pastures at Lower Winskill. 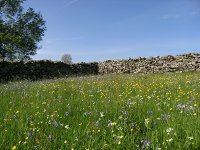 The upland hay meadows at Lower Winskill are home to many different wild flowers. 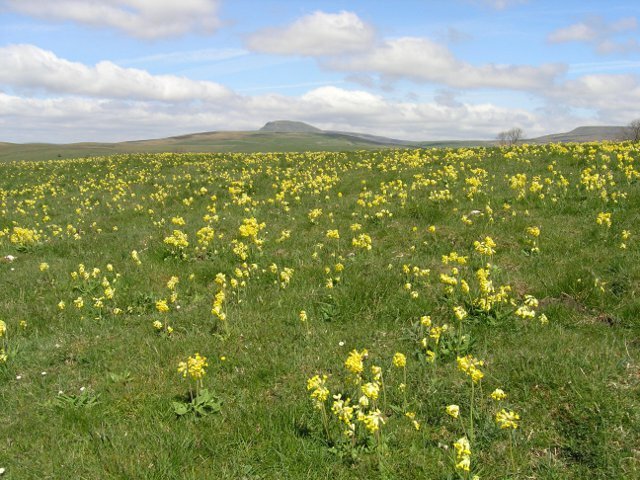 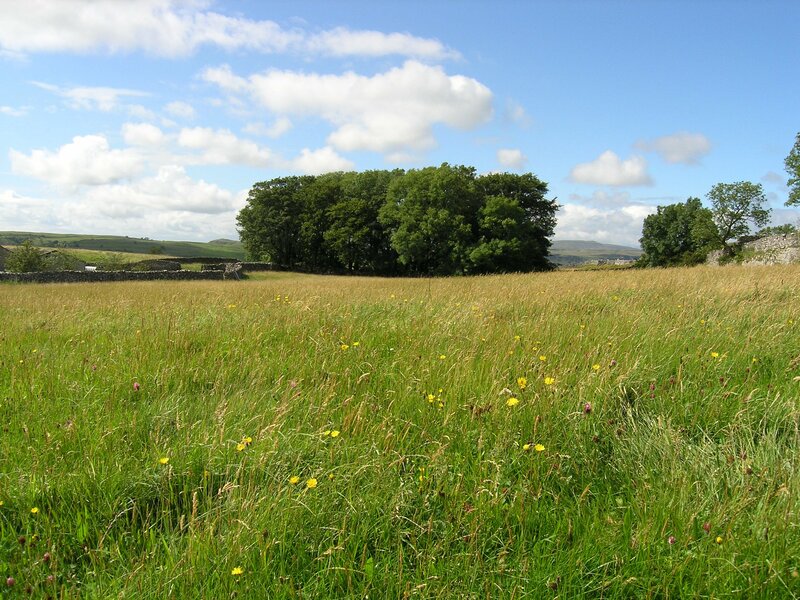 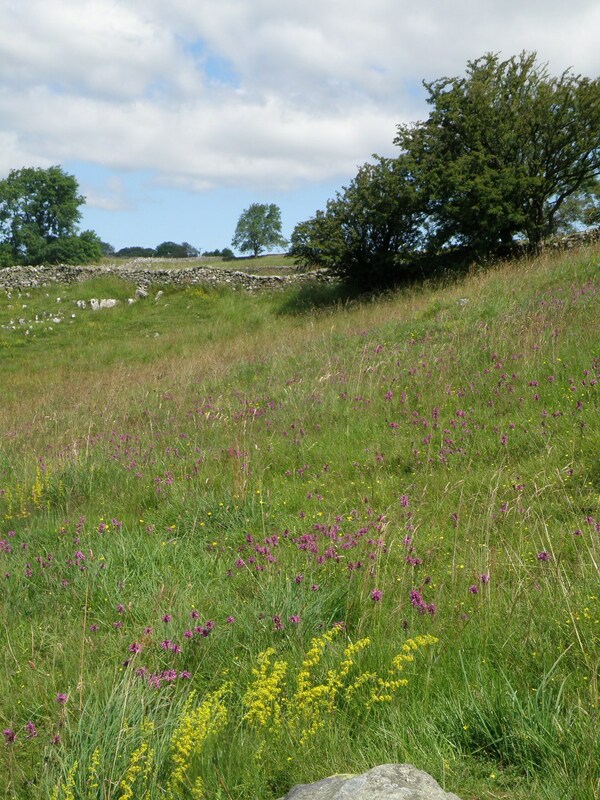 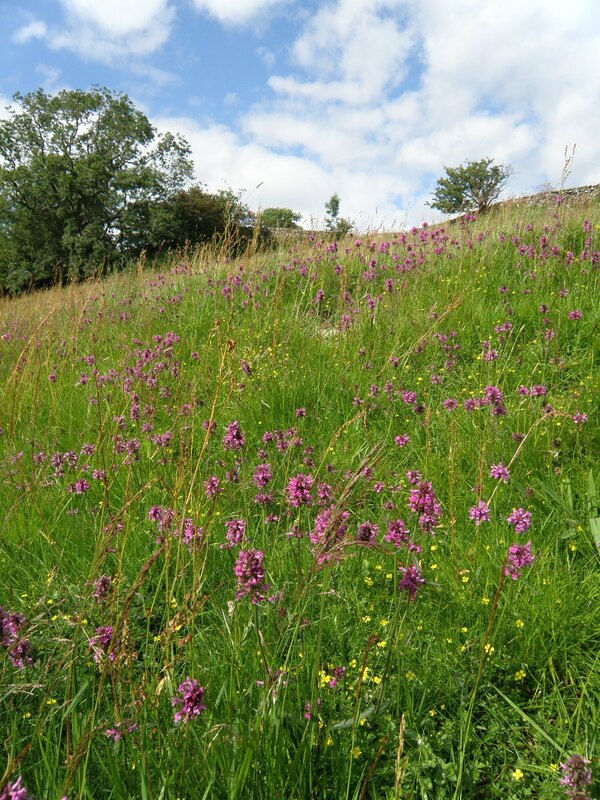 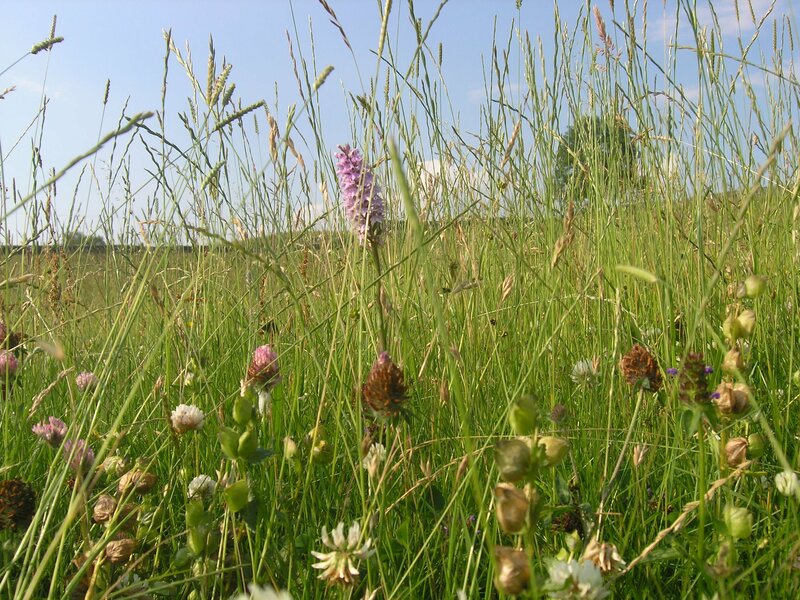 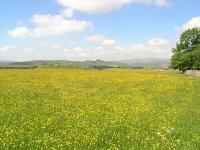 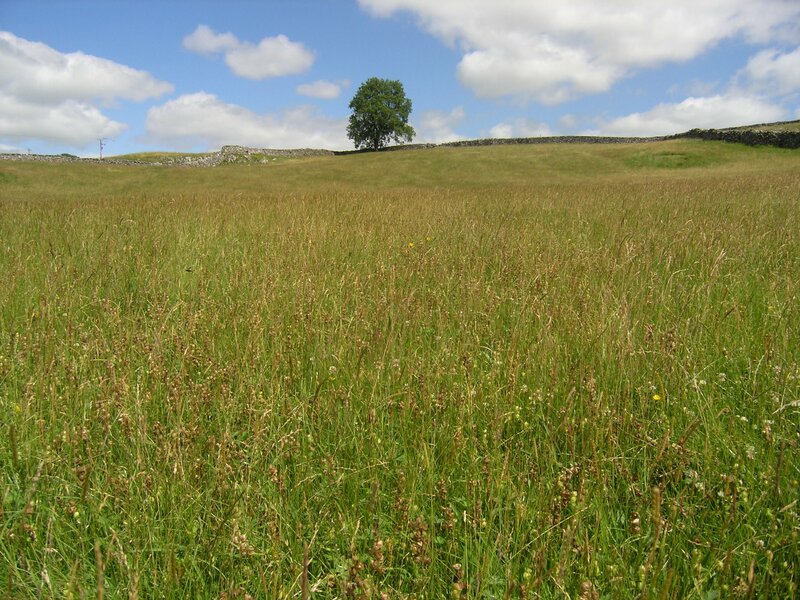 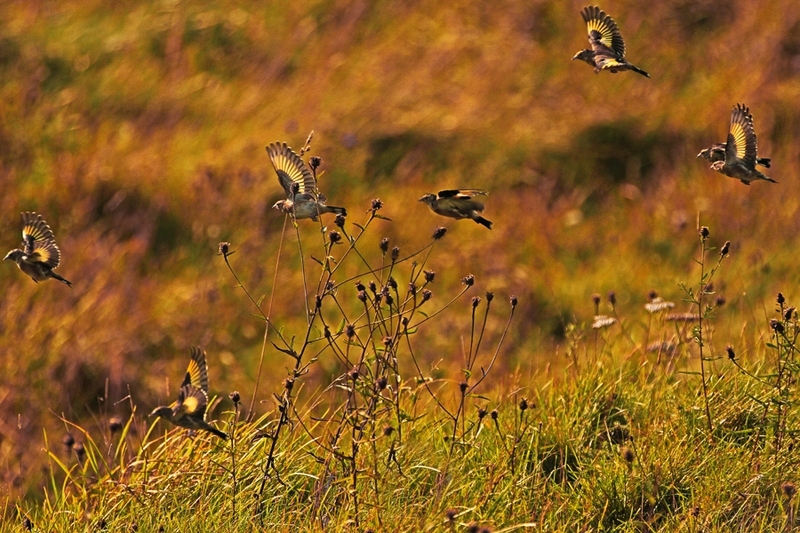 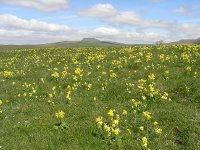 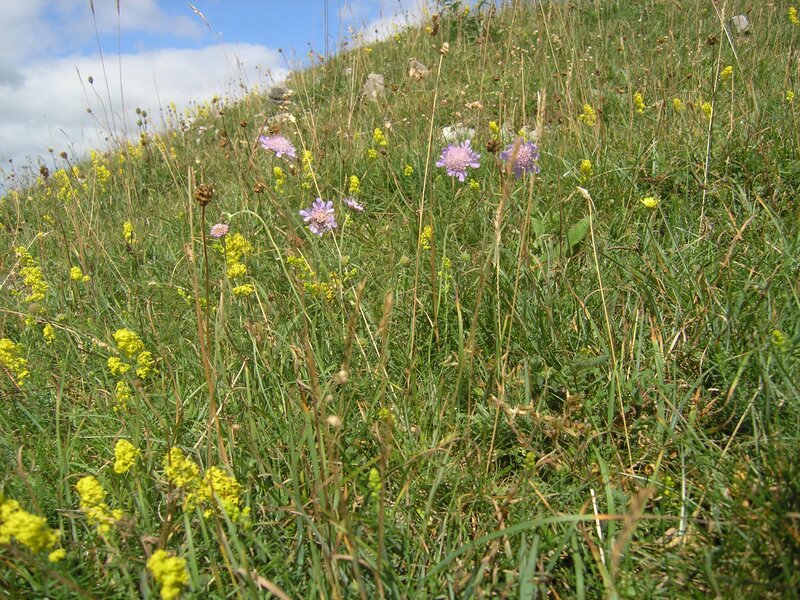 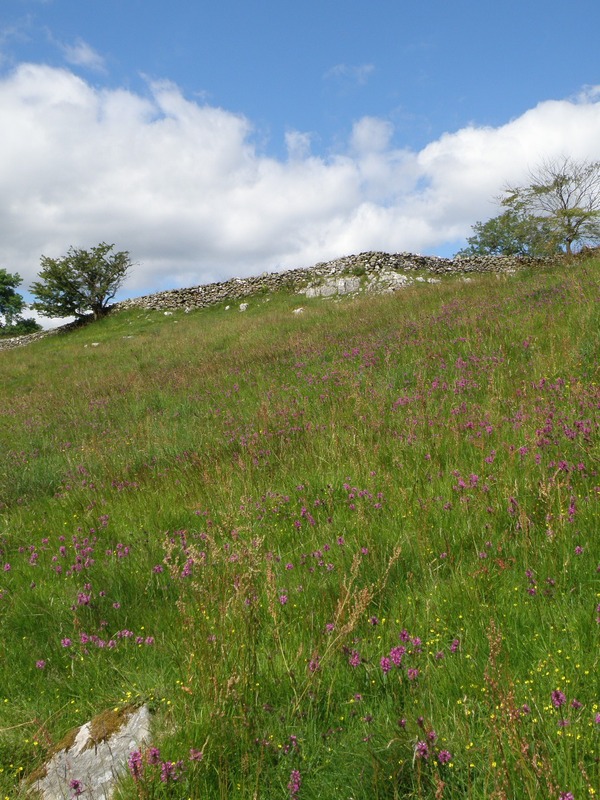 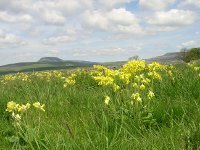 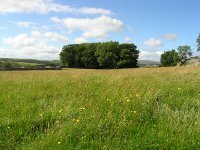 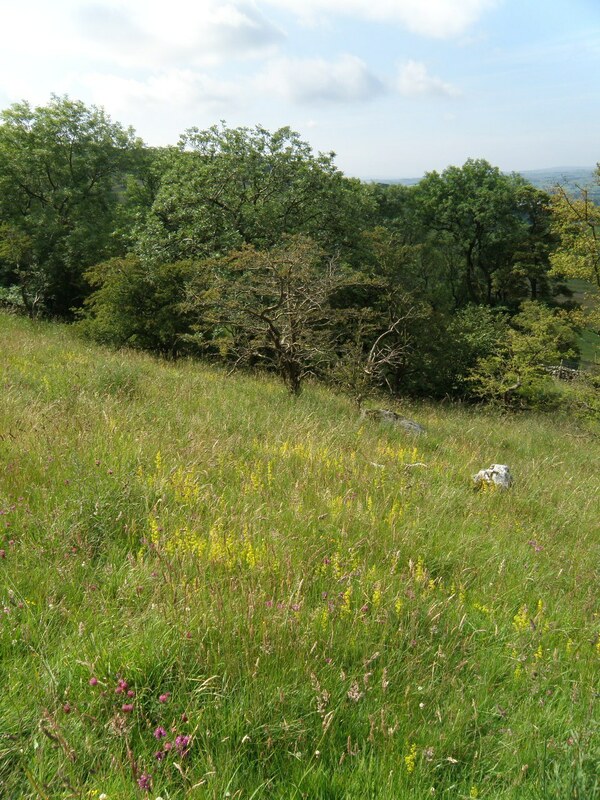 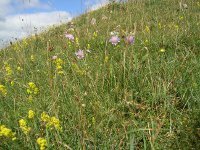 Careful management and a program of hay meadow restoration in partnership with Natural England as part of the Higher Level Stewardship Scheme are making sure the distinctive plant communities that grow in the upland hay meadows are maintained and thrive. After the last of the ewes and lambs are taken out of the meadows in early May they are 'shut up' to let the grass grow to make into hay to feed to livestock over winter. 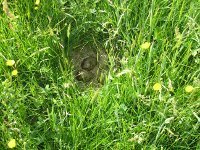 The ewes and lambs have already eaten the first flush of spring grass and leave the meadows cropped short so that sun light reaches right down to the surface of the ground. 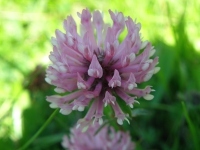 This encourages the wild clovers which naturally add to the fertility of the soil. 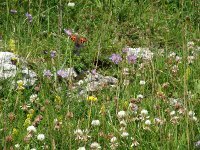 It also checks the grasses, and gives a precious advantage to colourful flowering wild plants which race ahead of the grasses in May and June. 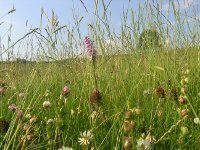 The meadows are not mown for hay until after the middle of July to allow the wild flowers to set seed which then falls back onto the ground as the hay is made. 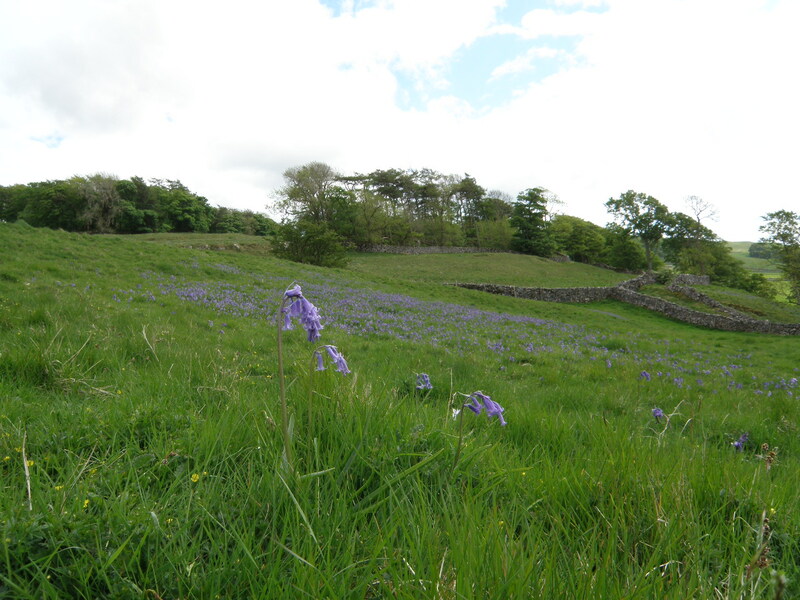 The presence of Bluebells in the meadows at Lower Winskill suggests they were originally formed when the locality was more wooded. 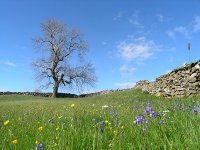 The annual cycle of meadow management with the ewes and lambs eating the first flush of grass before being taken out of the fields in early May mimics conditions during spring on the woodland floor before the tree canopy comes into leaf. 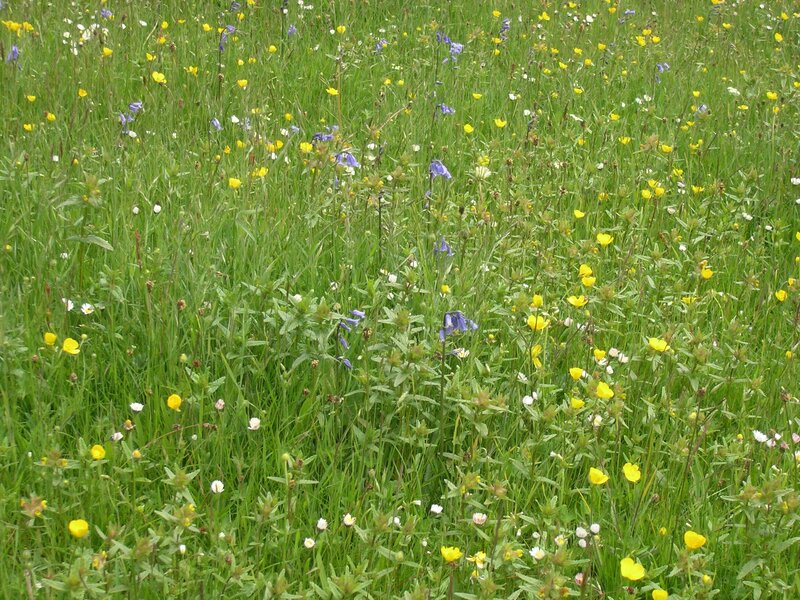 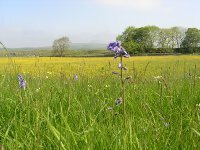 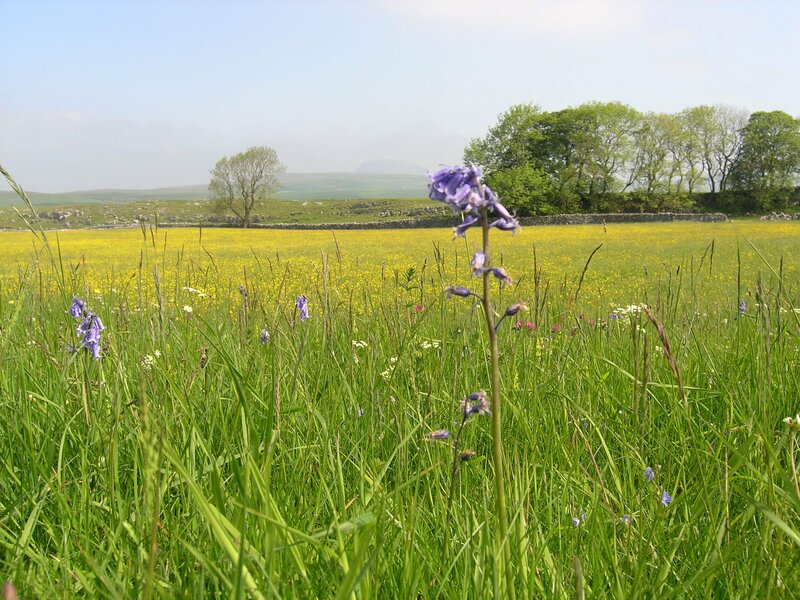 Upland hay meadow management creates a 'window of opportunity' for vernal or spring flowering plants such as Bluebells to flower in grassland. 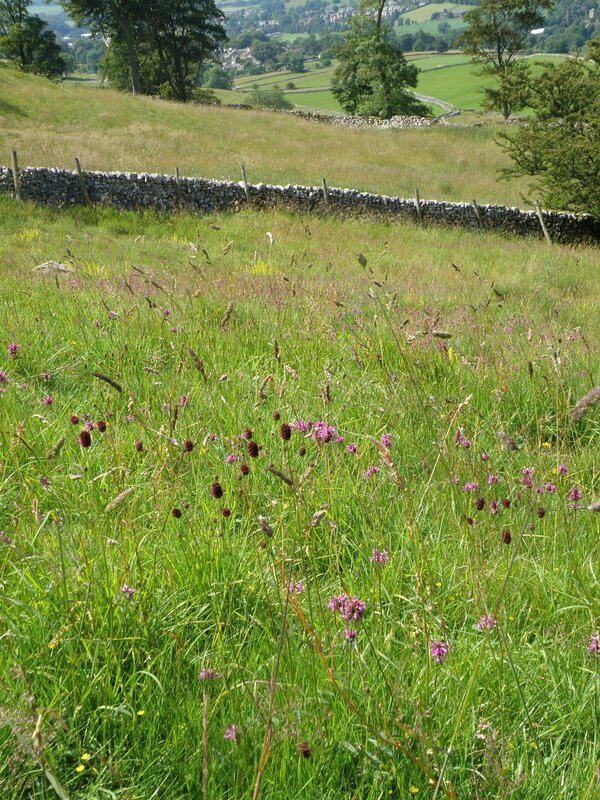 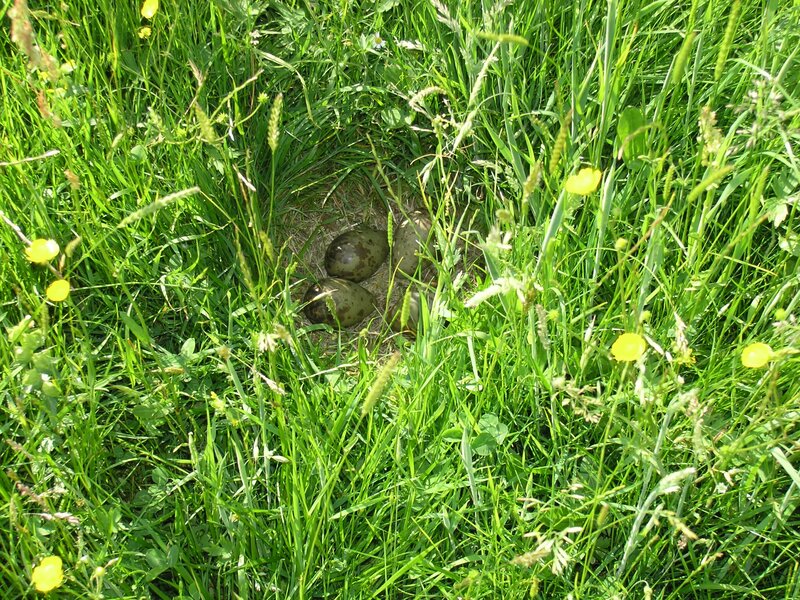 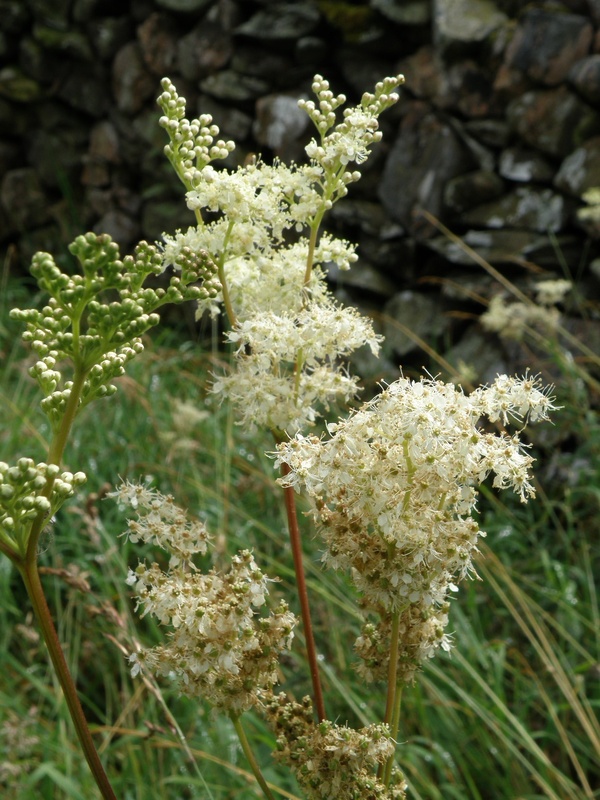 The semi-parasitic Hay Rattle has an important part to play in the restoration of upland hay meadows. 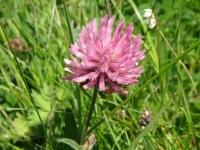 By checking the growth of the more vigorous grasses it helps other wild flowers get established. 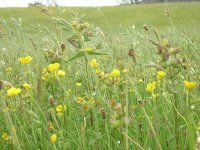 It is a prolific producer of seed; and the seeds are large and easily collected by mechanised seed harvesters for use in meadow restoration schemes. 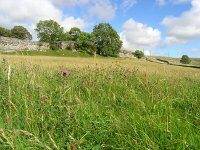 Below you will find a gallery with some of the many pictures we have taken of the Wild Flowers in the hay meadows at Lower Winskill. 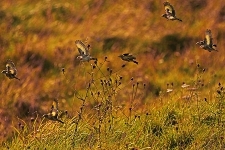 If you rest your mouse over a picture it will give you a description of that picture. 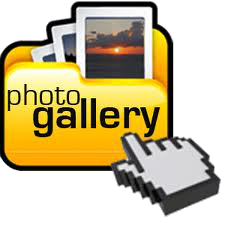 Click any of the pictures for a closer view.